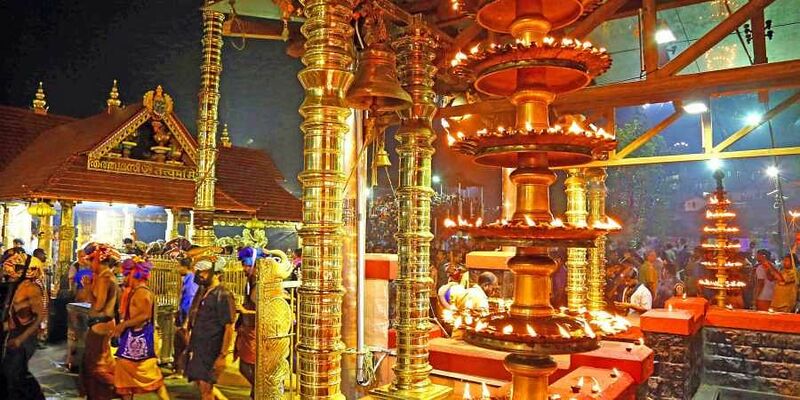 He said both the state and Central governments should bring out a law for circumventing the Supreme Court verdict allowing women of all ages to enter Sabarimala. ALAPPUZHA: Softening his stand on the Sabarimala issue, SNDP Yogam general secretary Vellappally Natesan said the LDF Government has deliberately invited the people’s wrath. Speaking after the Yogam’s council meeting in Cherthala on Thursday, he said, “The protests were deliberately created by the state government as they had accepted all the demands of upper-caste people without hesitation. So, the government should face it. People from the Ezhava community can take a decision as per the stand of their political parties. The Yogam will not oppose it. The state government had earlier executed the agenda of the upper-class community and ignored the backward class people.” He said both the state and Central governments should bring out a law for circumventing the Supreme Court verdict allowing women of all ages to enter Sabarimala. We are standing with devotees on this issue, he said. He said the Yogam council has approved his stand. "The apex court verdict is disappointing and has polarised society. However, the verdict is irrelevant as female devotees between the ages of 10 and 50 will not go to the hill shrine. The current protests utilising devotees’ beliefs against the irrelevant court order will only create rebellion in the state. The current agitations are leaderless protests. So, the SNDP Yogam is not ready to take part in such protests. If the matter of protests had been discussed with all Hindu organisations earlier, the SNDP Yogam might have come to the forefront in these agitations,” he said. Earlier, he had strongly supported the state government’s stand on the issue and criticised the protesters. However, SNDP Yogam vice-president Thushar Vellappally and many Ezhavas have come up against Natesan’s stand.